Which Is The Best Nordic Capital to Visit? A Totally Unbiased Ranking of Nordic Countries. Kind of. With Finland recently being named the happiest country on Earth in 2018, it’s a great to time open the discussion back up about the Nordic countries and which one you should visit! For the record, the top 4 countries of that list are all Nordic – with Sweden coming in at #9. There’s something to be said for the way these countries run themselves. There are great opportunities for the people who live there and great tourism opportunities for visitors! They also a great job of embracing life in all seasons. We’ve named a few of these cities in the wintertime as our favourites for a reason! Overall, the Nordic countries are beautiful. Each one is slightly similar to the one beside it and yet somehow also completely different than the other ones. Before we begin discussing and rating the five capital cities, let’s start with a little education, shall we? What is the Nordic Region? The “Nordic Countries” are Iceland, Denmark, Norway, Sweden, and Finland. They all have a similar flag – featuring the Nordic Cross – and vary only by the colour of the flags. The history of the Nordic Cross is rooted in Christianity, with various older royals recognizing the role religion played in shaping and influencing state affairs way back when. Funny enough, these are basically four of the global hot spots (sorry, Denmark) for seeing the northern lights! “Scandinavia” is a geographical region of Northern Europe, and is comprised of Sweden, Denmark, and Norway only. These countries are all in Northern Europe, and feature freakish snow people who are amazing at cross country skiing and the winter Olympics, in general. Okay, that’s mostly Norway. Love you, Norway! Needless to say, this post should certainly help you plan a Scandinavian trip that includes the other parts of the Nordic region. So, to answer the common age-old question “is Finland in Scandinavia?” the answer is no! Now that that’s out of the way, we can begin to talk about each country, and our experiences in each of the capitals. While we won’t explicitly rank them – you’ll begin to understand our connections to the cities and our personal opinions! Okay, we’ll begin by saying we’re a TAD biased when it comes to Copenhagen. Lisa went to school in Copenhagen for three years so she’s got a deep connection to the city. 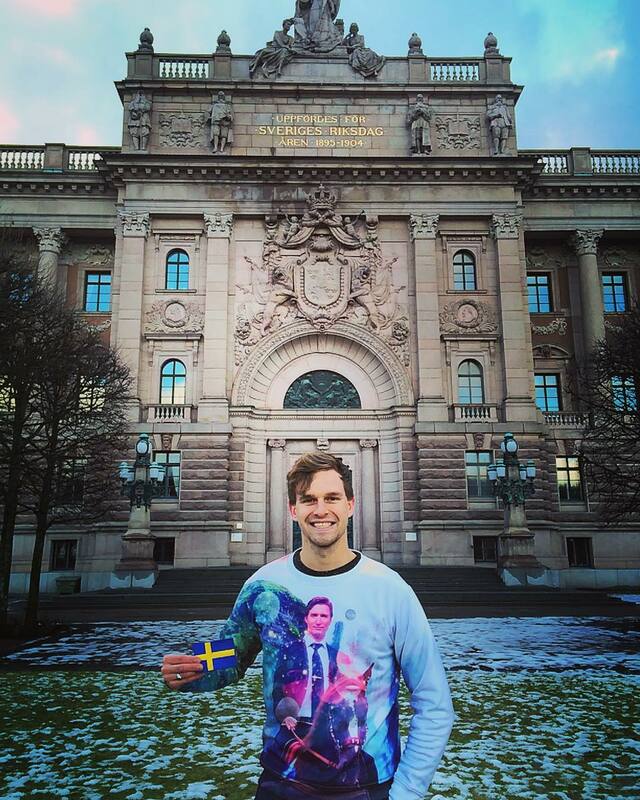 Eric first solo visited the city in February 2016 as part of a two-city trip that included Stockholm. Let’s just say it was “city love at first sight”. Copenhagen is an incredible city – full of character, beauty, and things to do that fit any interests. If you need a place to stay while you’re in Copenhagen – we wrote a post on finding a place to stay in Copenhagen WITHOUT going broke. 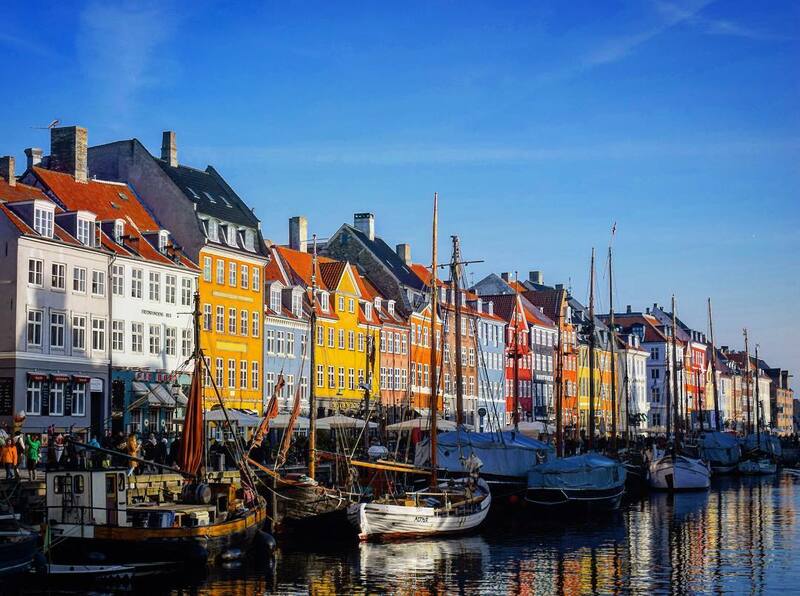 There are plenty of attractions in Copenhagen to check out. We cover loads of them in our guide on how to explore Copenhagen in one day, but a few of the top ones are below! If you’re in Copenhagen, you should visit the statue of the famous Danish writer Hans Christian Andersen’s “Little Mermaid”. She’s sitting on a rock in the north end of the city – just follow the harbour towards the sea along the paths and you can’t miss the crowd gathered around the shoreline. Walking the grounds is free, and you can go up the tower for FREE! One thing to be aware of is that the lineup can be quite long at peak hours (like sunset) and so be sure to go early to avoid disappointment. Trust us, you’d be disappointed if you missed the 360 degree view of the city below. Copenhagen is known for its open food markets. Scattered across the city, they offer locals and tourists alike a place to shop for groceries and a chance to try dishes that are local and also inspired by places all over the world. One of the most famous is/was Papirøen but that closed to make way to Reffen. You can also check out Torvehallerne which is located very close to Nørreport Station and really good! Helsinki is certainly one of those cities we have to spend more time to make a really good judgment call of. That said, Eric visited Helsinki on a day trip from Tallinn with friends. Over the course of a few hours, they discovered the city – despite the gloomy weather. If you’re thinking of travelling to Helsinki, be sure to take advantage of FinnAir’s stopover deals. The airline does a great job of promoting tourism by letting travellers stop in Helsinki free of charge on the way to their final destination. We wrote a whole post about booking a stopover flight to Europe, if you’re interested! 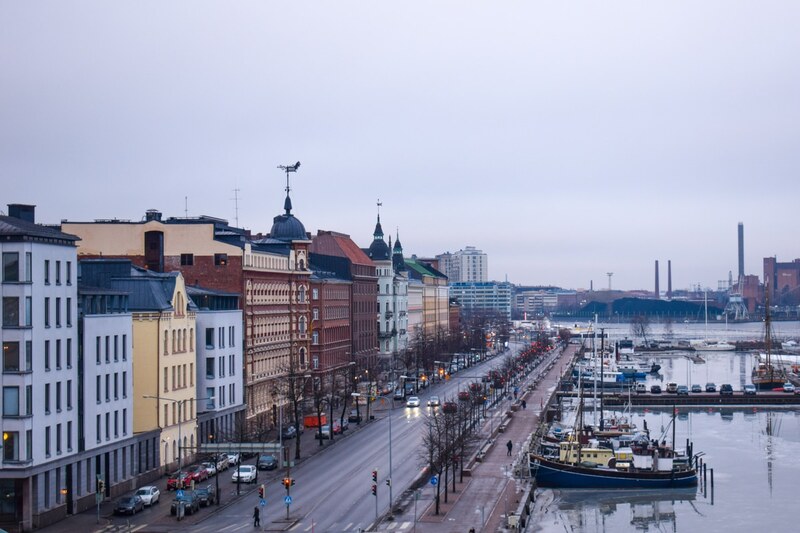 Below, we’ve listed a few of the top attractions to check out in Helsinki. However, check out our Helsinki in a day itinerary if you’re there for a day and want the best things to see, eat, and do! 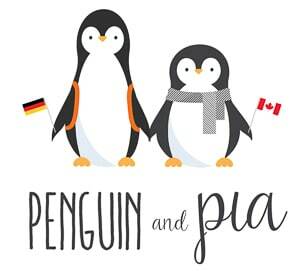 It was hand delivered for Penguin and Pia by a good buddy who lived in Helsinki for a year. 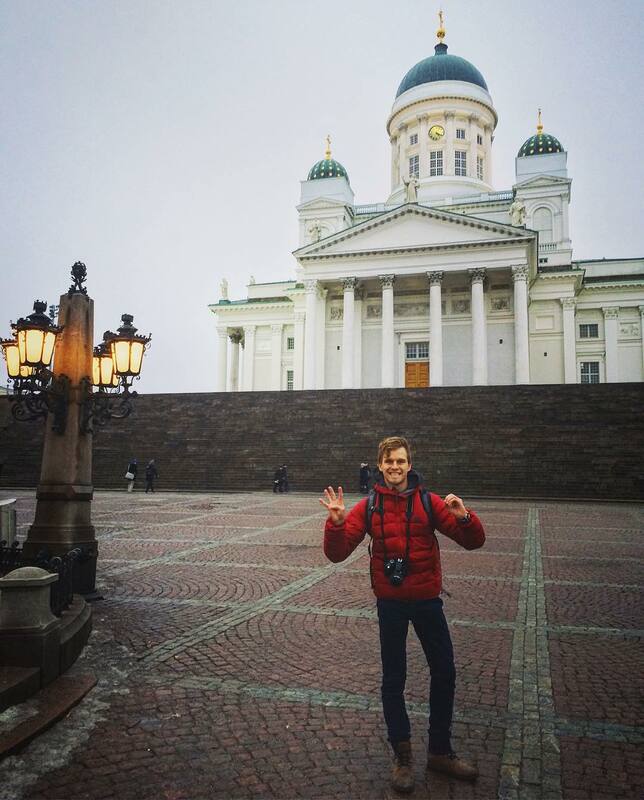 Helsinki Cathedral is a great spot to begin a photo tour of Helsinki. This popular public square and cathedral links to the downtown shopping and food corridor very well. Built in the 1860s, this beautiful cathedral is perched high atop a hill that overlooks the water and a significant portion of the Helsinki skyline. We didn’t get a chance to go inside but heard that it is gorgeous. The harbour side market square is a year-round area of shops and stalls ranging from food, to local goods, to souvenirs. If you’re looking to buy something, there’s a good chance you’ll find it here. It’s conveniently located near Uspenski Cathedral and offers great views and perspective of the harbour front and the role water plays in shaping Helsinki’s character! Stockholm, besides being the home of the largest IKEA in the world, is a city existing on of a series of islands are connected via bridges and roads. The capital of Sweden boasts a great shopping area, and a mix of architecture that includes the modern feel of steel and glass buildings and the old cobble stones in the Old Town. There’s certainly lots to do and see between all the attractions and museums. Wandering the Old Town of any city is always a treat. Stockholm is no different. The cobble stone streets and side alleys offer the same adventure of finding small coffee shops or pubs like in Krakow, Prague, or Edinburgh. In Eric’s opinion, this is the best museum/exhibit he’s ever visited. Period. The Vasa was a tall wooden ship which the Swedes built and in 1628 and it was SO BIG it capsized and sank minutes into its first voyage. Pretty neat history – considering they have the ship restored in full in the museum. They salvaged it after 333 years under water and it stands proudly in the museum. You have to visit. They offer free tours in English during the week and reduced times on weekends. Just go early to wait in the line-up – you’ll get a sticker and about the first 30 made the tour. You go through security and get lockers for belongings so don’t worry about having travel stuff on you that you don’t want to carry around. Eric did it and found it very informative! Reykjavik is a wonderful city – don’t get us wrong. The issue is that it’s becoming/already is very touristy. Now, that’s usually fine but the thing specific to Iceland’s booming tourism industry is that visitors are forgetting to be respectful of the place they are visiting. If you want to read more about the effect tourism is having on Iceland, read our guide from our local Icelandic buddy on his thoughts about what you should know before visiting Iceland. Often, we see quick visits from Europeans and North Americans alike who treat Iceland – and Reykjavik – like their personal playground for a few days and then leave their mess behind. Nevertheless, curious and passionate adventurers check out Reykjavik and have a great time discovering the capital in all its uniqueness. You can even day trip from the city to explore the famous Golden Circle if you wanted. Travelling to Reykjavik is simple with two airlines allowing for Iceland Stopovers. Icelandair is among the heavy hitters in the Europe stopover scene – and you can also read about these in our post on stopover flights. Here’s a few things you can’t/won’t miss! You know that church? The one in everyone’s photos? Here’s the official name. It’s free to go inside, and if you catch the lineup at the right time, you can take an elevator to the top to snap the iconic photo of the coloured rooftops in Reykjavik. 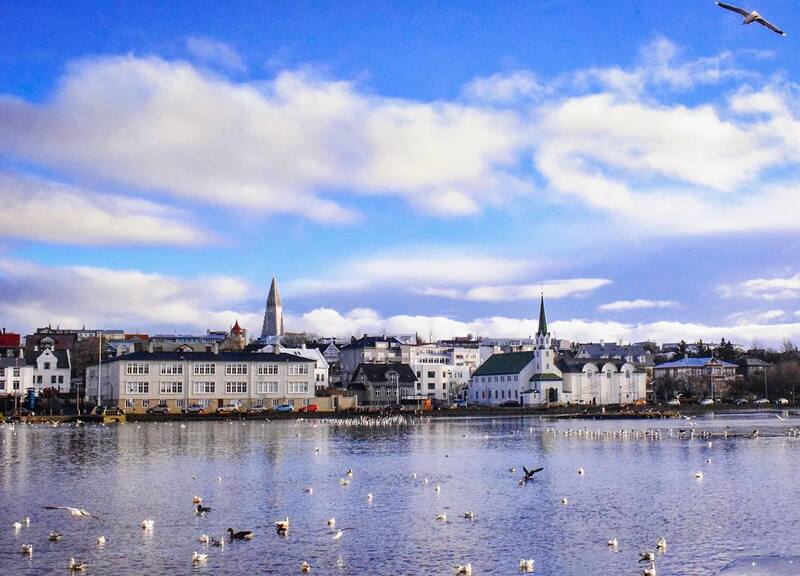 If you want to explore the capital some more, here’s a guide on where to stay in Reykjavik! There’s a famous stand at the waterfront called Baejarins Beztu Pylsur. The Icelandic hot dog is quite delicious so be sure to get all the toppings – this includes a version of mustard you’re probably not accustomed to and crispy onions. Mmmmm! Oslo feels like a seaside village that transformed as more and more people came there. As such, you’ll find old architecture in the sprawling neighbourhoods mixed with a vibrant downtown core where transit, shopping, tourists, and businesses collide. If you walk in the right places, you’ll find yourself surrounded by green space – and you can quickly seek out the water and walk the harbour shoreline for a great deal of your day. We visited Oslo and despite having a VERY early flight – we made the most of our first day hopping from coffee shop to coffee shop and sight to sight waiting to check into our Airbnb. 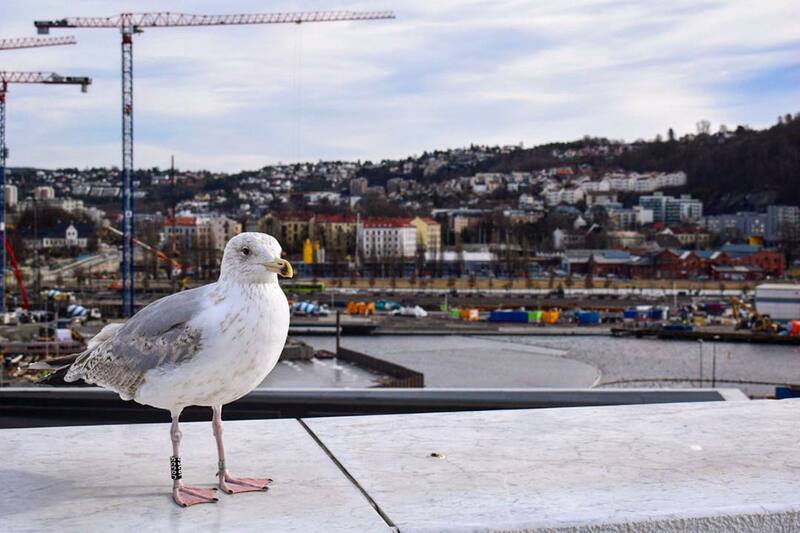 You can read our full guide about things to do in Oslo and where to stay in Oslo if you want to stick around for longer! We didn’t go in but the walk there is through downtown Oslo. We went at 1:00 pm and got to see the ceremonial changing of the guard. It was pretty cool! Yeah, I said walk on top. Seems like a weird one, but this gorgeous building offers stunning views of the city and the harbour. There’s also a lot of seagulls up there so watch for them. Makes for a good photo, as you can see! Our Airbnb was in this neighbourhood and we had an amazing time. From coffee shops to vintage shops, there was something around every corner. It’s in the northern end of the city and definitely worth the 15-minute walk from the centre. There are even smaller adventures (like historic little bridges) nearby that make for great photo spots. 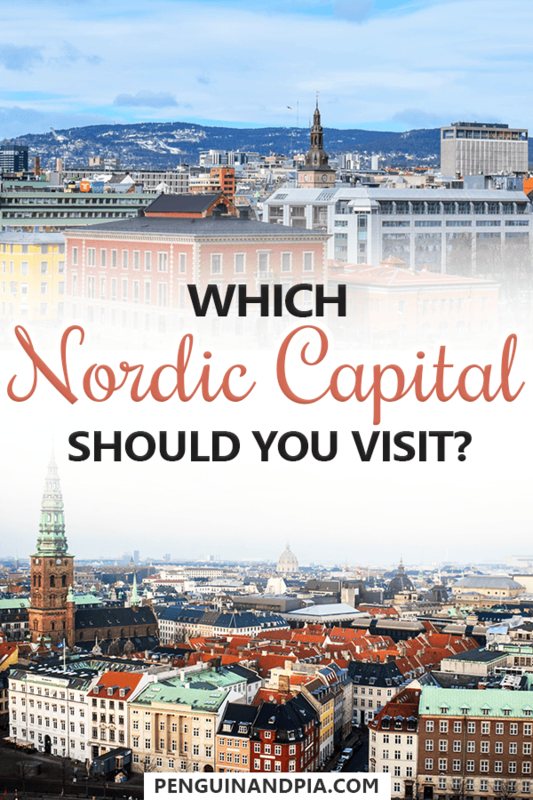 So, which is the best Nordic capital city to visit? Well, each one is unique and awesome in their own way. Eric feels fortunate to have spent time in all of them. If we HAD to choose – we would probably say Copenhagen. As a cultural powerhouse, the city is alive with something for everyone. Then again, if you like more modern buildings of steel and glass – Stockholm will make you feel more at home! Then again, if you like a smaller village feel then Oslo is for you! See what we mean? Choosing is difficult! Why not visit all five and see for yourself! There you have it – a totally unbiased view of the five Nordic Capitals. All in all, there are five beautiful cities to explore. They also all make for a great base to settle in to check out the other cities in the respective countries. Do you agree or disagree with anything on the list? Did we miss a personal favourite? Let us know in the comments below – we’d love to hear your thoughts!